Our cats love to be in pictures! 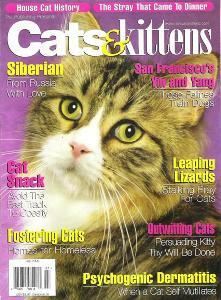 We are very proud that our Siberians have been in a number of publications. 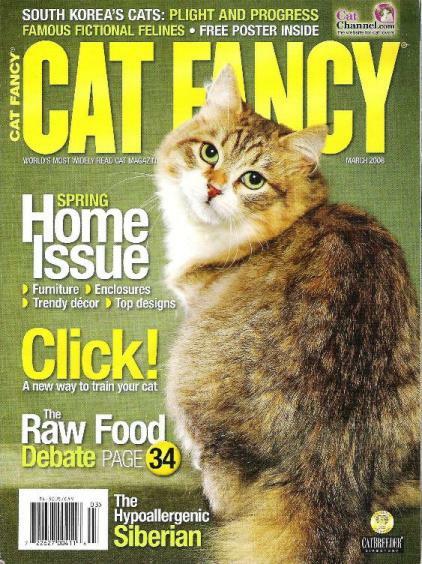 In March 2008, Yelena was asked to grace the cover of Cat Fancy. 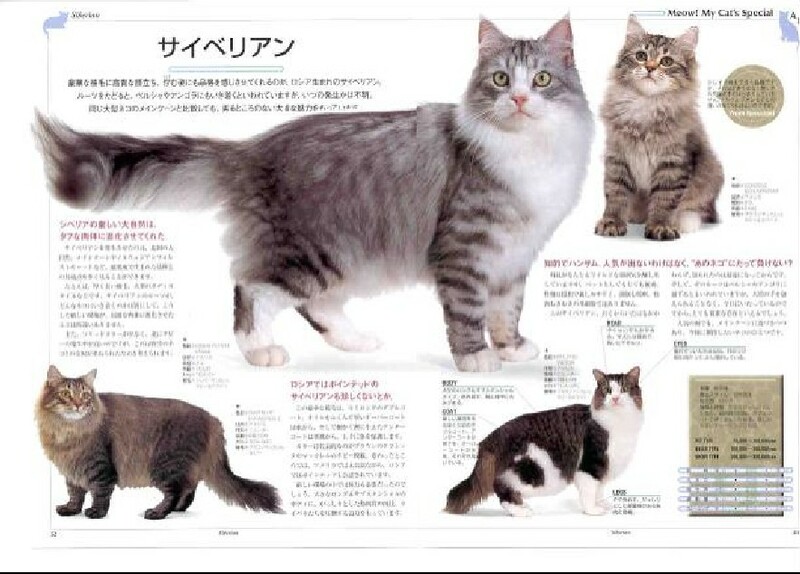 In 2002, Gosha was used as the main image for the siberian cat for the book "Cat's Catalog" based in Japan! In 2005, Fluvanna was on the cover of Cats and Kittens. To use the Slideoo slideshow, hover near the bottom of the image bar until the scroll bar appears. To use the Slideoo, hover near the bottom of the image bar until the scroll bar appears. And the crazy homes some of our Customers build for their cats!